Have some time to volunteer? FISH is looking for more school tutor/mentors. – Live & Learn! Have some time to volunteer? FISH is looking for more school tutor/mentors. JABA FISH is on the hunt for more talented volunteers! 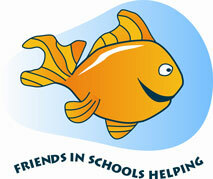 Training dates for new FISH volunteers are now listed online at http://www.jabacares.org/fish-friends-schools-helping. Previous PostPrevious Why eat a rainbow? Daily Progress has the answer!